The artist Angie Lewin has a unique vision of the natural world. Her hugely popular prints depict in intricate detail the native flora of a variety of environments, from salt marsh and Highland loch, to flower-strewn meadow and wild garden. Lewin finds beauty in each landscape, whatever the season, and is particularly inspired by plant forms: slender reeds, stately goatsbeard, spiky teasels and sculptural seed heads. 'Plants and Places' presents over 70 of Lewin's beautifully crafted linocuts and wood engravings. The works are grouped according to habitat such as coast, woodland and hedgerow, and garden together with drawings, paintings and collages from Lewin's sketchbooks of grasses, seed pods, seaweed, shells and other objects that she has collected on her walks. In an engaging introduction, Leslie Geddes-Brown meets Lewin in her studio, discusses her artistic inspirations and her fascination with plants, and describes how she creates her prints. Angie Lewin is a member of the Royal Society of Painter-Printmakers and the Society of Wood Engravers and has exhibited her work around the United Kingdom. With her husband, Simon, she runs St Jude's in Norfolk, producing a range of printed fabrics. Leslie Geddes-Brown is a leading writer on gardening and interior design. 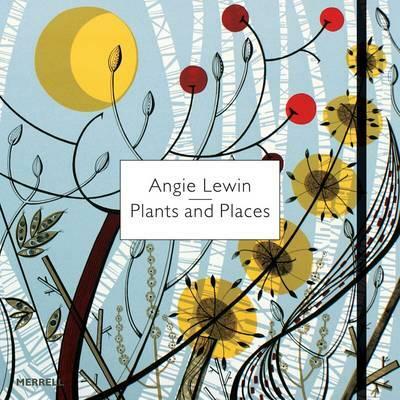 Her books include Merrell's Garden Wisdom (2009), which features illustrations by Angie Lewin.